This roadmap articulates our goals and creates a framework for a dynamic process that allows us to be both intentional and responsive as we chart Laurel’s direction forward. At Laurel, innovation is our tradition. Since 1896, Laurel has given girls their voices, inspired them to discover their passions and spurred them to pursue ambitious goals with vigor. In an increasingly complex world that requires critical thinking, resilience, collaborative problem solving and cultural competence, the education we design empowers girls to thrive. Our all-girls’ identity remains relevant because we expect our graduates to be daring leaders, undaunted in a world where gender equity is not yet a given. Laurel girls, held to the highest personal and academic standards, develop and refine their talents, gaining confidence, skills and relationships that sustain them for the rest of their lives. 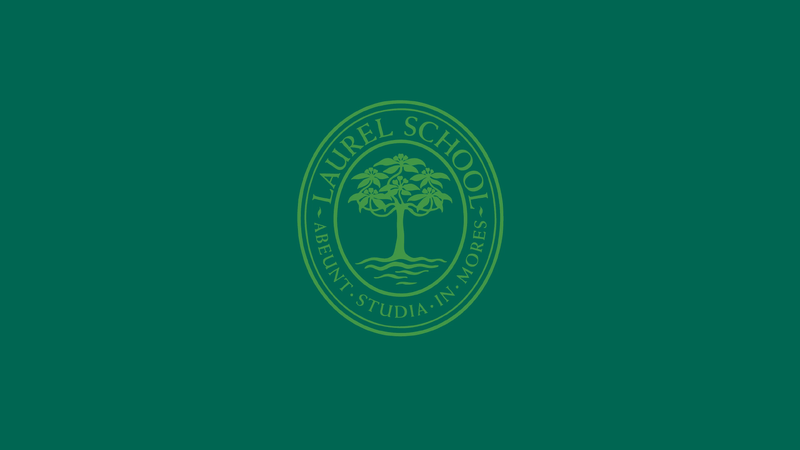 Laurel School will deliver a powerful education built on the application of skills, the interdependence of concepts and the importance of self-advocacy. As always, Laurel girls learn to lead and to claim their voices. Our curricular tradition is research-based. Ten years ago, we began to develop original research and now Laurel’s Center for Research on Girls (LCRG) is a nationally-recognized resource for independent schools. LCRG conducts, disseminates and puts into practice research that connects exceptional academic outcomes with social and emotional well-being. The value of LCRG is central to each Laurel girl’s experience. As our research shows, girls thrive when they are engaged in purposeful learning, inspired by great teaching and surrounded by a community invested in their success. Social and emotional well-being, purpose and personalized learning fuel our program and lead to great outcomes on standardized measures of achievement. Our curriculum balances technology-rich liberal arts rigor with large-scale opportunities to dive deeply into compelling initiatives. Two inspiring campuses—Lyman and Butler—will be reimagined to honor our illustrious past and drive our innovative future. 1. Place our nationally-recognized Laurel’s Center for Research on Girls (LCRG) at the heart of the Laurel experience for girls (Kindergarten - Grade Twelve), parents and faculty. What girls learn from LCRG programming will serve as a foundation for life beyond Laurel. Design and sequence curricular units, beginning in Kindergarten through Grade Twelve, to increase impact of LCRG at Laurel. Map and communicate existing LCRG programming to make visible the value added of LCRG at every grade level. 2. Design and implement an innovative, comprehensive, progressive curriculum (academic, co-curricular and social-emotional) that will develop competencies to propel graduates into competitive colleges, evolving careers and a borderless world. Weave the four themes of civic engagement, entrepreneurship, global studies and STEAM (science, technology, engineering, arts, mathematics) throughout the Kindergarten - Grade Twelve academic program. Create and implement a schedule that promotes deep academic engagement, integration of disciplines, and development of individualized, self-directed learning at both campuses and in Northeast Ohio. Make the Butler Campus central to experiential learning and environmental stewardship for every Laurel student. Time at Butler will challenge girls to apply concepts and to construct meaning through hands-on experiences that invite reflection, observation and application of skills—both with and without technology. Cultivate empathy and respect for multiple points of view to build cultural competence. 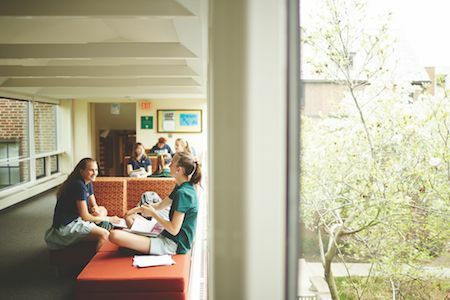 Engage alumnae, parents and external partners to enhance the Laurel educational experience. 3. Leverage leadership and invest in a dynamic, engaged and innovative faculty and staff. Align compensation, benefits and professional development budgets to be comparable to a benchmarked cohort of independent schools. Attract, retain, develop and sustain a talented and diverse faculty, whose pedagogy is shaped both by LCRG, as well as by lifelong curiosity about the evolving educational landscape. Review and update existing Facilities Master Plan for Lyman Campus. Create a Facilities Master Plan for the Butler Campus. Optimize space on both campuses and prioritize needs for renovation, property acquisition and new construction to support our dynamic program. Complete a needs assessment that will lead to a compelling new capital campaign led by the Board of Trustees. Refine and develop systems that use data more intentionally to design strategy around enrollment, fundraising and staffing. Increase revenue in areas other than tuition. Committees have actively designed and started to implement initiatives to meet the goals of the roadmap. Through 2022, we will be deliberate about measuring our progress and communicating key milestones and accomplishments. Send your comments and questions to StrategicRoadmap@LaurelSchool.org. Mission: To inspire each girl to fulfill her promise and to better the world. Values: Committed to building a just and inclusive world, Laurel girls are courageous, creative, ethical and compassionate.